George Lucas’ statements about the early development of Star Wars (1977) have not maintained continuity. Just as the films have been modified and altered in numerous ways over the decades, his anecdotes about Star Wars’ beginnings have changed. One thing is for sure -- although the film didn’t release with a different title, it released with one that is now considered incomplete. When Star Wars Episode IV: A New Hope originally hit theaters in 1977, it was simply called Star Wars. It wasn’t until the film’s theatrical re-release in 1981 that it received the Episode IV marking and the subtitle A New Hope. The reason is pretty simple. As George Lucas explained to a panel at the Tribeca Film Festival in 2015, he didn’t think the film would be a success. Even his friends and family thought it was too crazy an idea to become a hit. In fact, according to Lucas, the only person who believed in the film’s potential was his buddy Steven Spielberg. The next week, while vacationing in Hawaii (in an attempt to hide from the film he expected to fail), Lucas turned on the TV to see Walter Cronkite talking about the Star Wars phenomenon that had theaters nationwide sold out for weeks ahead. It was clear that people loved Lucas and his crazy new brand of fantasy, despite all expectations. It was goofy, cheesy, perhaps even shallow at times -- but it was a film unlike anything anyone had seen before. A New Hope feels different from the other two entries in the original trilogy. It is a packaged film, complete with a beginning and an end the way any standalone production would play out. After seeing the unbridled success of the film, Lucas (who already had more material in mind) found it easier to write the next two entries. The Empire Strikes Back (1980) and Return of the Jedi (1983) became the fruit of that labor, the combination of which feels like one cohesive picture broken into two separate acts. Empire, while widely considered the strongest of the three, is the middle of an overall narrative with no real sense of closure. It is the heart of the overall picture that became the original trilogy. The timeline of when George Lucas envisioned a trilogy and then more broadly envisioned multiple trilogies is vague. But he did have the foresight to produce the original trilogy as the middle, or Episodes 4-6, of a complete story. A Huffington Post article notes, "The possibility of there being at least nine Star Wars movies began to surface in media reports dating back to the late 1970s, but the idea really began to gain traction in a 1983 book by Denise Worrell called Icons: Intimate Portraits. The book quotes Lucas saying he intended to make three Star Wars trilogies: one dealing with the social and political (the set that fans believe covers the movies released from 1999 through 2005), another covering personal growth and self-realization (topics covered in original trio of films), and a final stanza delving into moral and philosophical problems (evidently the trilogy whose release begins with 2015's The Force Awakens). There are also indications that Lucas may have flirted with making even more than nine Star Wars movies. In a 1978 article, Time magazine reported that Lucas would make the sequel that became The Empire Strikes Back and then possibly build upon the fable in 10 more films. 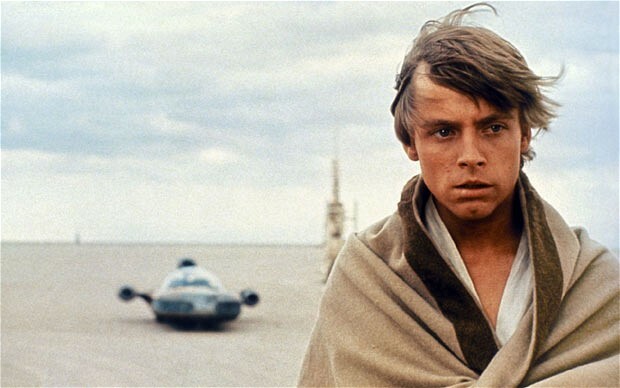 This theory gained further credence years later during a 2004 public appearance by Mark Hamill, the actor who played the grown Luke Skywalker in the original trilogy. Hamill was quoted as saying that Lucas told him in 1976 that his grand plan called for four Star Wars trilogies. Hamill said Lucas even asked whether he wanted to be in Star Wars IX when it came out 35 years later, according to reports of his comments. From the notions Lucas had about the first film, Star Wars has evolved to a galaxy far, far away. However insecure he may have been about the potential for his original idea, the public proved they wanted more -- and almost 40 years later, still do. Although fans have gone up in arms about Lucas' various alterations to the films' content over the years, nobody has ever complained about the original film receiving the added subtitle A New Hope. It was the birth of a legacy, the creation of one of the most powerful franchises in history, and a great idea.